2012 was a year of change for me. I left a job which I’d been doing for 10 years to concentrate on publishing the trilogy, I moved house…twice, studied a bit and learned a hell of a lot about an industry which I didn’t have much of a clue about before I started. It was a year for learning, for trying new things out, reaching out to new people, making friends, making mistakes, getting better at what I’m doing and figuring out how to achieve what I want in the future. This year is bound to be different. It will be a year of building on the foundations which were laid last year, of learning from those mistakes I made, making the most of my new connections and moving the Cypress Branches project forward. It should be an exciting year, and I have high hopes for a successful and prosperous one, but my approach will have to be different. 2012 was kind to me in that I found myself in a position where I could afford to take time out of work to concentrate on Pegasus Falling. But I’m going to have to move forward with a lot less time and money available. I have always been realistic and never expected to make much, if anything, from this project, and sure enough, I haven’t. The most important thing was to do justice to William’s work and get the books out there so that people could read them. I’m now well over half way to making that happen. Much as I’d love to, I won’t be able to work on the books full-time, as I have done this year. I wish I could, but if you think that publishing a book will lead to instant millionaire status and the easy life, then think again. It’s been a tough slog this year and there have been virtually no financial rewards to speak of. The pot of gold which I found myself with last year was never going to last forever, and I no longer have the luxury of being able to treat the Cypress Branches as my job. I need to return to paid employment, which means going back to working on the books part-time. The year I have spent foundation-building has been important and I’m certainly glad I did it. It means that there is an audience for the books, which will hopefully continue to grow, and that I’m now in a position – 10 months after the publication of Pegasus Falling – to publish It Never Was You. Considering it took the best part of three years to get Pegasus Falling off the ground, because I was doing it in fits and starts between work contracts, I’m very pleased with that kind of progress! But that doesn’t mean that the Cypress Branches project is on hold. Oh no, there’s plenty to look forward to! I’m now looking forward to building on those foundations laid in 2012 and starting to add bricks and mortar over the coming months. I’m planning to make much more use of the blog this year, and to create more exciting content for readers of the books. I’m hoping to post much more frequently – at least once a week, on average – and with content which is much more relevant to readers. I’ve got plenty of ideas in the pipeline which I hope will allow readers and fans to find out more about William and his writing. There are plenty of themes to explore, characters to profile and history to delve in to, and my aim is to build up a collection of interesting articles and resources which readers can dip in and out of to enhance their reading experience. To help readers find the posts, the pages (which you may have noticed popped up on the site just before Christmas) will be updated with links and I’ll look into adding “further reading” links to the bottom of posts, should readers want to continue exploring. The plan is that over the course of the year Pegasus Falling and It Never Was You will both have the beginnings of an extensive archive which (hopefully!) readers will find valuable. I’ve got reading groups as well as individuals in mind here, and if any of you have got any suggestions, please do get in touch. I am on the cusp of announcing the details for the release of It Never Was You – part two of the trilogy. The paperback and ebook will be released in late February, but keep an eye out for posts in the run up to the release date which will include the cover reveal, extracts and an exploration of the themes. I wish that William was able to interact with his readers personally, but alas, that is not possible. As William’s grandson, and his publisher, I’m very keen to interact with more and more readers on his behalf. I’d love for readers to be able to get to know him better, and I’ll be writing a number of articles to allow that to happen over the coming year. In the mean time, I would love to hear from you, so get in touch if you have a question, have something to share or if there is something in particular you’d like to know more about William and his books. I’ll be keeping in touch with the brilliant bloggers I got to know in 2012, and I’m aiming to get to know even more over the next 12 months. 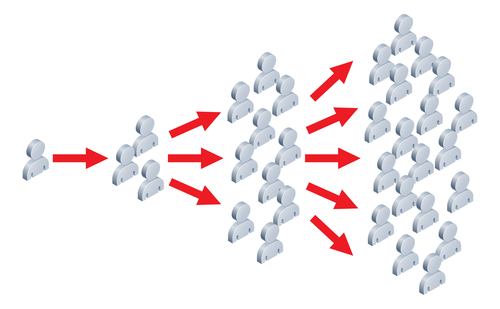 The indie publishing game is all about networking, and I’m hoping that with the new content on the blog, more interaction on various forums, as well as the completion of the trilogy, I’ll be able to connect with more and more readers. Facebook, Twitter and Goodreads have all been brilliant for connecting with readers and other authors, and I plan to continue ploughing that furrow through 2013. If you haven’t already, please follow / like / add us wherever you find us. So, that’s the plan. Now to put it into action! First up, look out next week for a very exciting post. 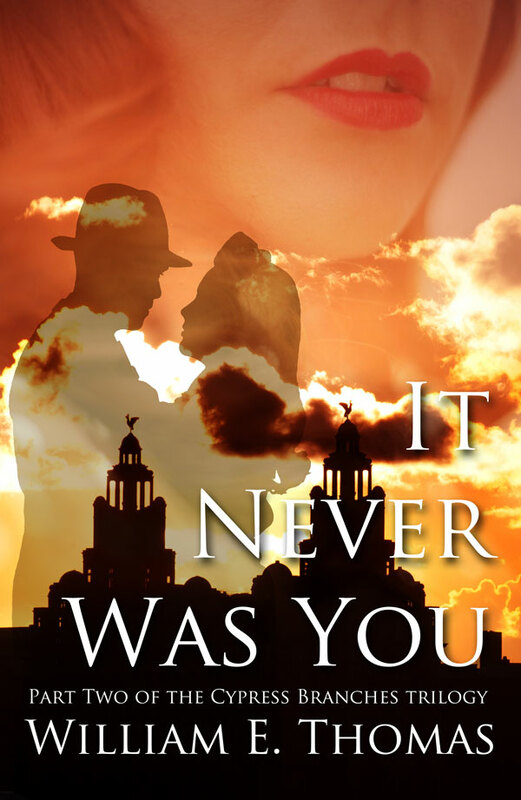 I’ll be revealing the cover image of It Never Was You. Can’t wait!